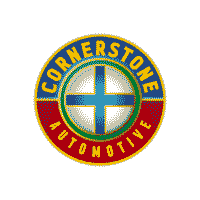 From the sophisticated Chrysler 300 to the family-friendly Chrysler Pacifica, it’s no wonder Monticello drivers are looking for new Chryslers at Cornerstone Auto. Chrysler vehicles turn heads with their blend of luxury and style, and you’ll find each model brimming with first-class features and top-tier tech. What Can I Expect from a Chrysler? Chrysler vehicles offer advanced technology and refined styling. Critics from Edmunds.com note that the, “latest 300 also stands as a prime choice for a premium full-size sedan.” Offering up to 363 hp and Uconnect infotainment with a 8.4-inch touchscreen, the executive appearance of the 300 is backed by an unrivaled driving experience. The Chrysler Pacifica defies minivan expectations by offering the first hybrid minivan as well as class-exclusive features like Stow ‘N Go. You’ll find both models available now from Cornerstone Chrysler, so visit today to find out more or arrange a test drive.